I can’t wait for summer temperatures to dip into the bearable 80s in the Valley. Lately, I’ve been living off of Fudgecicles. Fudcicles are nothing special but handy to pull one out of the freezer when I come home from work. 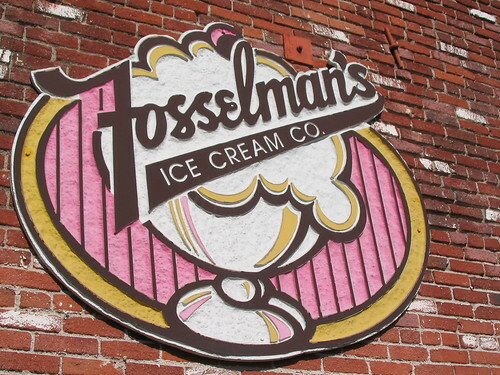 Lately, I’ve been wanting to go to Alhambra and revisit Fosselman’s Ice Cream Company. On their Web site with various shining reviews, they state they’ve been making their ice cream since 1919. It wasn’t so much the reviews or the length of time they’ve been producing creamy deliciousness but in fact their range of flavors I’ve been craving. 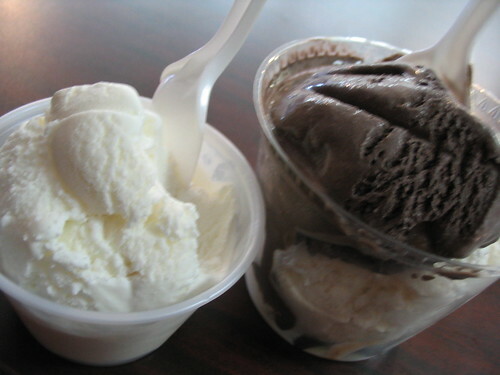 Speciality flavors include Irish coffee, black raspberry, banana heath, bean and macapuno (coconut). They even have their own version of Baskin Robbins clown cone. My only complaint about this place is the lack of familiarity of the location, distance and the need for a map. LOL! !I will definitely have to try the mango but the blueberry and peach sound delicious. It's always hard to sway away from anything chocolate related.